Accommodation, scheduled activities and laundry service. All meals, refreshments, local spirits and wine. Accommodation in Maun before the safari and transfers to Maun Airport. Depart Maun on a chartered flight into the Kalahari. One of our friendly lodge representatives will warmly welcome you to the Leroo La Tau where the next three days will be spent. Leroo La Tau is propped up above the Boteti River which can be seen on the western border of the Makgadikgadi Pans National Park. This park boasts up to 30,000 zebra and wildebeest, and allows guests the unique experience of viewing large concentrations of game. There is a raised hide above the river which provides guests with the opportunity to view the wildlife we have come to know and love in Botswana. The 12 thatched chalets each have en-suite bathrooms, a dining room, reading room and bar, along with spacious wooden decks and a pool. 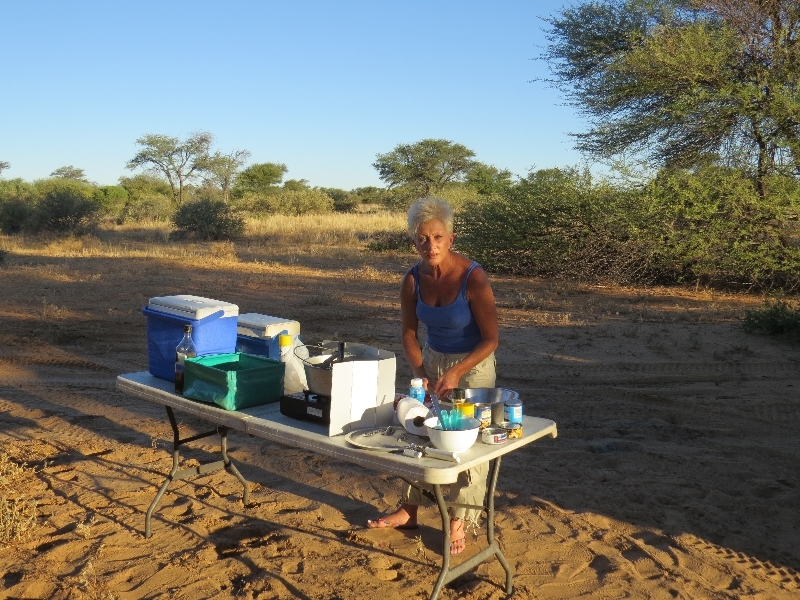 Dinner is served after a long day of guided day and night game drives. 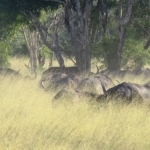 Following a delicious breakfast, you will take a chartered flight at the airstrip into the Okavango Delta. A lodge representative will meet you at the airstrip and take you to Camp Okavango in order for you to get acquainted with your surroundings. The majestic Camp Okavango can be found right in the middle of the Okavango Delta on Nxaragha Island. The main lodge has a cocktail bar, sitting area and a highly resourceful wildlife reference library. The dining room takes you through to the open-air patio where many a beautiful evening can be spent at the fire. Taking in only 24 guests in rustic African-style tents on elevated teak platforms, Camp Okavango has en-suite amenities and intimate viewing decks. Knowledgeable guides take you on game-viewing activities, which include getting to know the Okavango Delta by mokoro or motorboat. Leave the Okavango on a charter flight to the Moremi Game Reserve, where you will be met by a lodge representative and taken to the Moremi lodge to settle in. The main building is a classic thatch and timber conformation and has a sitting area, wildlife reference library, dining room and cocktail bar. All these factors come together to give guests the authentic African wilderness experience. 22 guests can stay in African-style safari tents; each tent being located on a raised teak platform with a viewing deck that adduces unique and breathtaking views of the Xakanaxa Lagoon. Game drives are undertaken in open 4×4 vehicles, in the mornings and afternoons. Lion, cheetah, leopard and wild dog have all known to be spotted. A motorboat experience of the Xakanaxa Lagoon is also available. Depart Moremi on a charter flight to Chobe National Park. 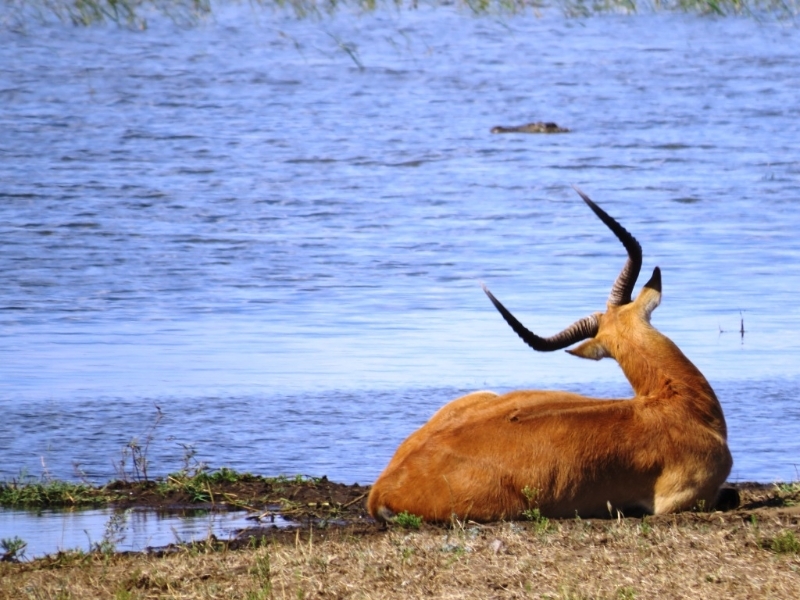 On arrival you will be met by a lodge representative and taken to Savuti Safari Lodge. 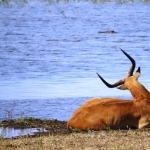 Savuti Safari Lodge can be found on the Savuti channel banks. It is private and cozy, allowing only 24 guests at a time. 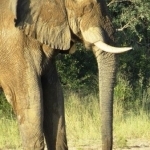 Bull elephant is frequently seen, and resident predator species can also be observed. All suites come with intimate decks, combined bedroom and sitting areas and en-suite facilities. The sitting area, library and cocktail bar can be found in the spectacular thatch and timber main building. Savuti Safari Lodge has a viewing deck, al fresco dining area and swimming pool. These amenities come together to create a lodge that is unique and unmatched by any other typical safari destination. 4×4 game drives are conducted in the Savuti area; taking you to the well-known and marvelous Savute Marsh, as well as the ancient San rock paintings at Gubatsa Hills. Depart Chobe National Park by charter flight back to Maun. 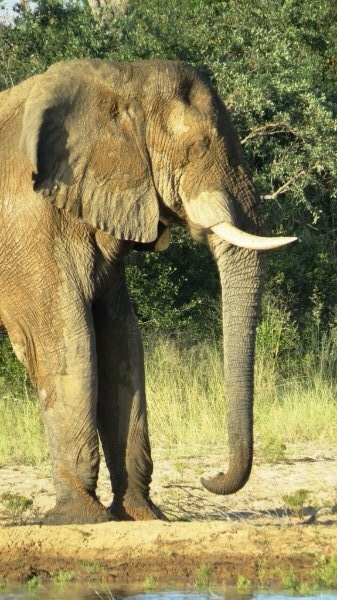 The safari will end on arrival in Maun.